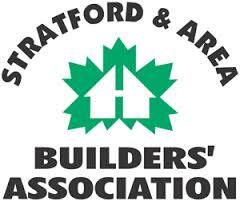 The London Home Builders' Association (LHBA) has come a long way since its founding in 1952. The LHBA and its Provincial and Federal parents - The Ontario Home Builders' Association and The Canadian Home Builders' Association, are business organizations comprised of builders, renovators, developers, suppliers, subcontractors and supporting financial institutions and professionals. SABA is committed to providing a forum for its members to network, share information and experiences, promote ethical building and building practices, be the voice of the construction industry in Stratford and Perth County, better our communities and promote trades to our next generation.